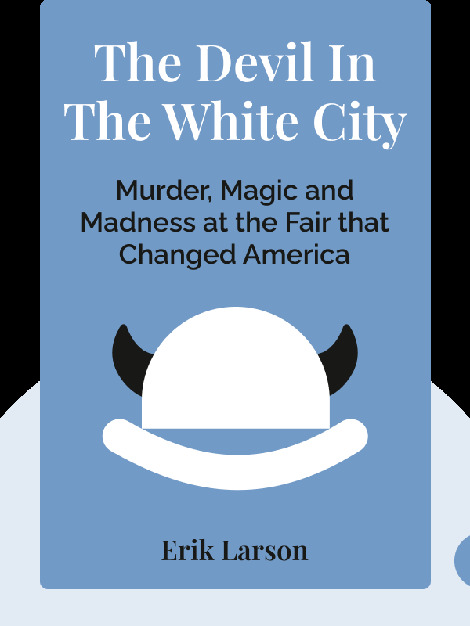 The Devil in the White City (2003) takes you to Chicago in the 1890s, when the growing city was the host of the World’s Fair amid a time of social upheaval and serious crime. These blinks blend a story of exciting American innovation with the unspeakable acts of one of the world’s first serial killers. 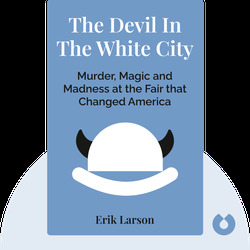 Erik Larson has written for the Wall Street Journal, Time and other publications. He’s also the author of multiple books, including In the Garden of Beasts, Dead Wake, Thunderstruck and Isaac’s Storm.